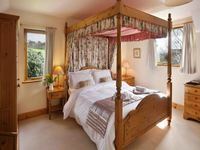 Holiday Cottages in Eastern England. 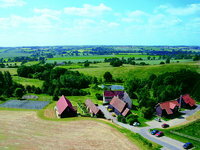 View details for Gladwins Farm in Nayland, Suffolk, Suffolk. Provided by Holidaycottages.cc. Set in 22 acres of rolling Suffolk. 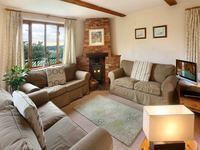 Guests staying in our awardwinning cottages can use the heated indoor pool with its sauna and hot tub, the hard tennis court and children's play area. 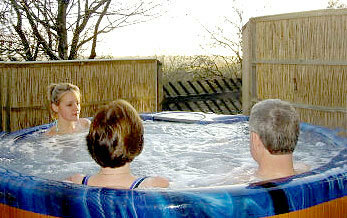 Cottages sleep from 2 to 8, some have been converted from Tudor buildings to modern standards, some with log burning stoves and private hot tubs. Heating and electricity included in the price. There's a fishing lake stocked with coarse fish, plus farm animals to entertain the children. Nayland is one of the famous cloth towns of Suffolk, with possibly the finest collection of medieval timber-framed buildings in the country and the coast is only half an hour away. Wi-Fi in all cottages.